HIGHLY ANTICIPATED! Men’s & Women’s Collection, Shoes and Accessories. Fans can expect to pick up edgy, Parisian chic, laid back cool vibe and rock'n'roll designs at the best prices! Mark your calendar for April 10th - 14th! 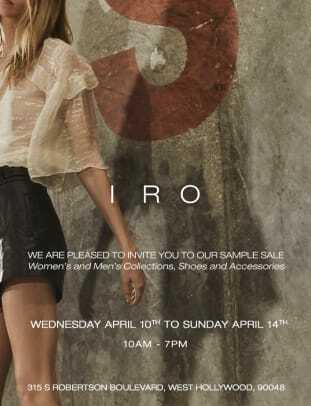 Clear the decks because a five day IRO sample sale is coming to Los Angeles for the first time!! 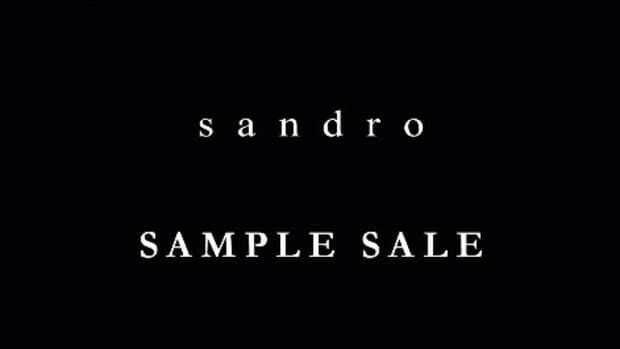 Fans can expect to pick up edgy, Parisian chic, laid back cool vibe and rock&apos;n&apos;roll designs at the best prices!